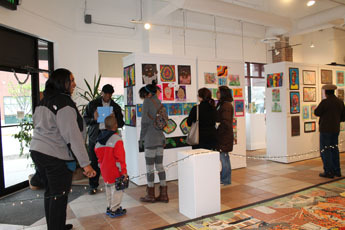 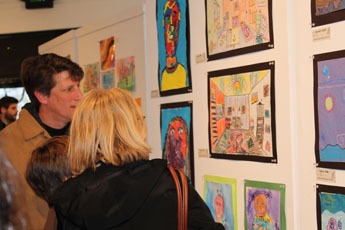 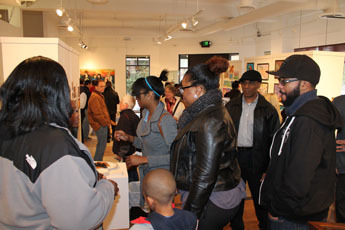 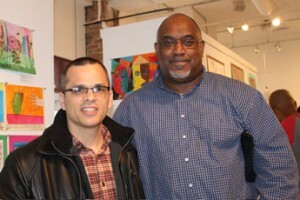 Featuring the Heights Youth Club Mosaic Mural, paintings by Augusto Bordelois, and art work selected from the art classes of Lee Road public schools – Fairfax Elementary, Boulevard Elementary, and Heights High School. 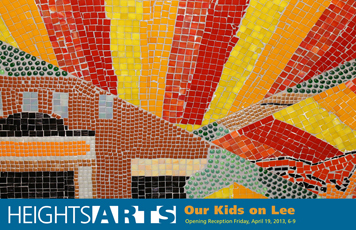 The Heights Youth Club Mosaic Mural is a project of Heights Arts that enriched students’ after-school experience and enliven the Lee Road streetscape for years to come, reflecting Heights Arts’ vision that art is part of every day life. 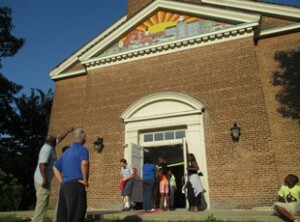 The mural is a window into the current life of the former church repurposed into a vibrant after-school program.